When clients come to the law office of Lynn C. Harris in Salt Lake City, they meet with a skilled personal injury and wrongful death lawyer who fights diligently for the legal rights of victims and their loved ones. This is especially important when children are injured in an accident. Sometimes these accidents are the result of simple toys, which is a matter we'd like to consider in greater detail right now. When it comes to defective products of all kinds, there are three common causes: defective design, problems in manufacturing and quality control, and issues with marketing and distribution. These can all lead to dangerous items being placed on the market. With regard to toys in particular, issues of age appropriateness and proper instructions for use come into play as well. Companies need to be very attentive about any products that are released which are intended for children, especially toys. One of the most common hazards with children's toys is the potential for choking. Small pieces or accessories on toys of babies and toddles should be avoided. Ideally, all parts of a toy for a young child should be larger than the hole in a tube of toilet paper, which is a safe representation of a young child's mouth and airways. Another hazard in toys for the young is the potential of poking or cutting while playing. Sharp edges and pointed corners are a bad idea for toys aimed at the young. Soft objects and rounded edges will prevent these injuries from occurring. A number of toys for older children have projectiles. This includes Nerf guns and action figures. Projectiles can lead to eye injuries if not played with safely, even if the projectiles are made of foam. It's of the utmost importance that warnings be placed on these products and that eye protection be made available whenever possible. Shockingly, there are times when children's toys that contain toxic materials enter the marketplace. Sometimes these toys are made abroad where factories may not have stringent quality control. This is unacceptable, especially given the potential long-term health problems that may arise from exposure to unsafe materials at a young age. More and more children have toys that are digital and use touchscreen technology. 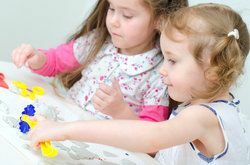 This is a great leap forward when it comes to educational toys, but electronics can potentially cause electric shocks. In some cases, the heat generated by these electronics has been known to cause minor burns. Safety should be the utmost concern with childhood electronics. For more information about your legal options following a serious injury that occurs as a result of a defective or dangerous product, be sure to contact a skilled personal injury lawyer. Lynn C. Harris will work with you to ensure that you receive just compensation for injuries sustained and that the negligent company is held accountable.